Because music is truly a social activity, best enjoyed with the company of friends, loved ones (and, of course, legions of fans and admirers), we offer several options for our students to work together in a group/ensemble setting. For those looking for a fun introduction to music, we recommend joining the ukulele cub – a great way to try a fun, portable instrument! 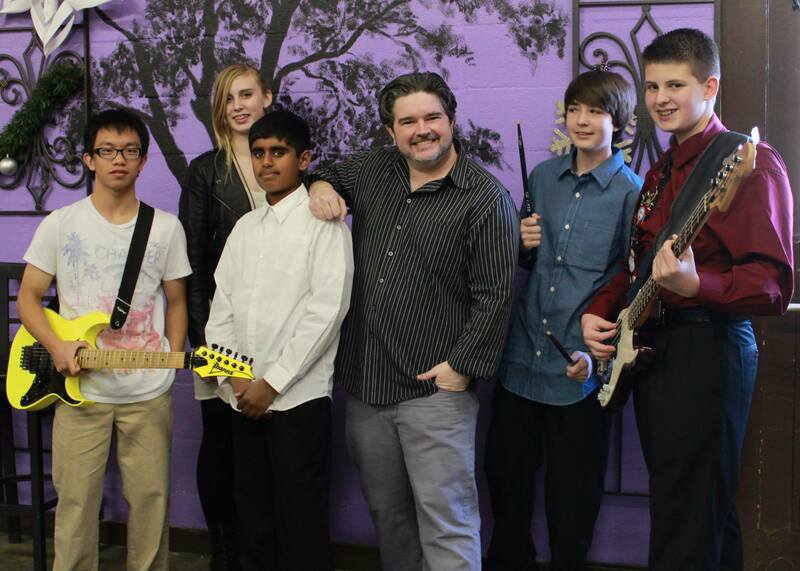 For students learning voice, guitar, electric bass, drums, or piano/keyboard, we suggest trying out one of our band workshops to really make the music come alive! For students on violin, viola, cello or double bass, we offer a string ensemble. Depending on both student interest and teacher recommendation, our brass and woodwind students may either find their way into one of the rock band workshops, or into a jazz combo.